Moin The Monster Songster | GetLitt! 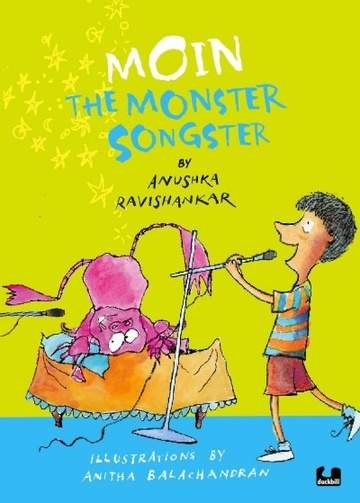 “It was no great hardship for Moin to stop singing, but stopping the monster was proving to be an impossible task ...” When you share a house with a monster who loves to sing, it is unlikely that your first concert will go smoothly. 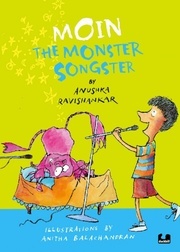 But when a Bollywood music maestro enters the scene and the monster decides to change its colour, life becomes impossibly complicated for Moin.This laugh-out-loud funny sequel to Moin and the Monster will have you demanding more! This book is really fun. It is a really good read. It is on top of my list.Itis about a monster who lives under a boys bed.The author has made it a very light and fun read.This book has made my day.